4. Do not forget your username and password for Patreon that you will be asked to create to access your classes and other information. 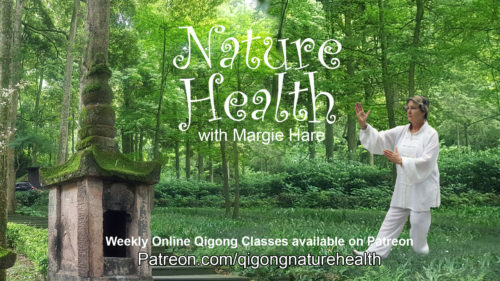 Patreon provides a wonderful teaching platform, an opportunity for me to expand my classes all over the world and help many of the people who follow me on YouTube and Facebook to learn the Qigong lifestyle and to take charge of their health naturally. Thank you for your loyalty. It also allows us to interact and for me to answer your questions in the next video and work with you to create the information resources you enjoy. For many of my clients making time to practice Qigong and getting to classes are the biggest hurdles to the NatureHealth lifestyle. So I decided to bring the classes to you at a time when you are comfortable. Now you can use your devices to follow along wherever and whenever you please. You will be able to watch LIVE classes allowing you to do them with me, or recorded when you have the time. You are still doing your class with me! The choice is yours. Tiandi Qigong for health is a series of four exercises created by Master Zhao from routines that have been practised for thousands of years. It is an easy form that brings you in harmony with heaven and earth energy, whist energising and promoting balance and well being throughout your body. Shibashi Qigong is often referred to as TaiChi Qigong. It consists of 18 synchronised movements, breathing and mind work whilst standing. The beautiful flowing movements are a joy to practice and deeply relaxing. Created by Prof. Lin Hou Shing from China to improve your health and well being. benefit you both physically and spiritually whilst preventing disease and prolonging life. Thank you for considering joining my Qigong classes. Qigong is easy to learn with very positive results in improved health. So become a patron today and improve your health tomorrow. Once per month, by appointment, you will have a personal class with Margie via Skype for approximately one hour. This class is to help you to make corrections to movements and posture. You will also have access the other reward levels. Add 1 additional Self Healing Qigong Class available at all reward levels.